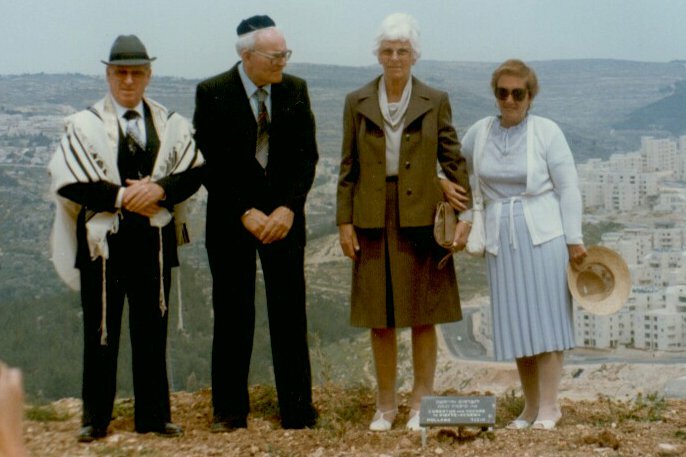 This photograph is taken at Yad Vashem, the Holocaust Memorial Museum in Jerusalem in 1984. It was taken on the day that a tree was planted to honor the heroic actions of Lubertus and Geeske te Kiefte. Their heroic actions are documented in the upcoming book Jew Face. This entry was posted on Saturday, March 17th, 2012 at 11:43 pm	and tagged with Holocaust Memorial, Jerusalem, Jew Face, Lubertus & Geeske te Kiefte, Nardus Groen, Sipora Groen, Yad Vashem and posted in Uncategorized. You can follow any responses to this entry through the RSS 2.0 feed.